I'm a passionate UX Designer, Product Hacker and Human-Computer-Interaction Obsessive who loves to create ingenious software and daring interaction concepts. 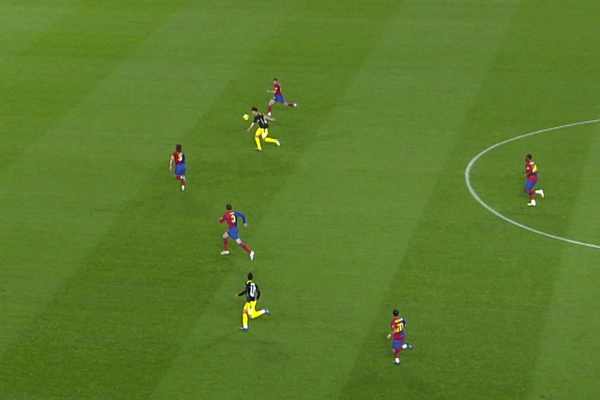 “People do not want a quarter-inch drill, they want a quarter inch hole”. The JTBD theory establishes that in order to create an innovative / disruptive product you should focus on the job itself rather than the product or the customer. I use the JTBD theory in my design process as an analysis driver to dissect complex problems and generate simple solutions. IDEO published an essay at CHI '95 titled "Interaction Design at IDEO Product Development". The interaction design methodology proposed in this essay, describes a very open-ended and fluid process that doesn't overindex on finding a solution but rather understanding a problem. I adapted this methodology and have been using it as the backbone of my own design process. • Stop Thinking About User Interface: A Product Approach for Designing Products of the Future. Mind the Product. • 7 Lessons on Building Product with Outsourced Developers. Mind the Product. • Context Design: Why deciding between the words “soccer” and “football” is a design problem. Medium. • Designed Inconveniences: UX Patterns That Can’t Be Taught. Medium. • BGR: "UX designer Juan Ramirez created a trick that will let you use the old icon on your phone again while still using the newly updated Instagram app." • Mirror UK: "UX Designer Juan Ramirez, who appears to be something of a digital genius, has come up with a way to get the old logo back onto your iPhone." • BuzzFeed: "If Ramirez uses other people’s ages to compare his professional benchmarks, he should feel good that at only age 26 he got something banned from LinkedIn." I'm Juan J. Ramirez, a UX Designer and Product Professional with a proven track record of designing and shipping high-value software solutions. I have 8-ish years of experience helping different companies to define and create their products. 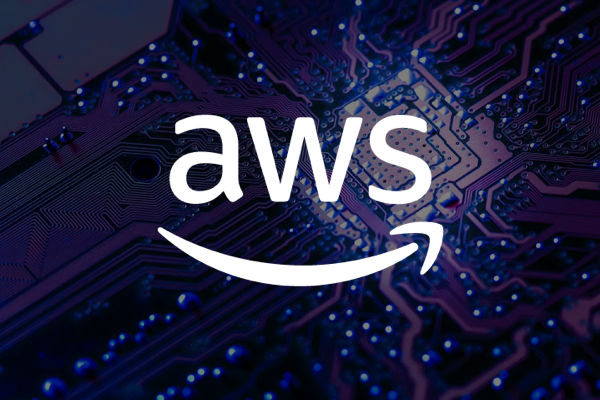 I currently work at Amazon (AWS), where I'm designing world-class user experiences for Cloud-Based Developer Tools that increase developer productivity and accelerate the process of shipping code. Previously, I worked in multiple tech verticals like Enterprise Software / SaaS (Procore), InsureTech (Coverwallet & Coverpocket), E-Commerce (Seconds.com), Edutainment (Carnegie Mellon), Unified Communications (Contactive), Market Research Tech (Usuallee) and more. I hold a Master's Degree in Entertainment Technology (Design + Human Computer Interaction) from Carnegie Mellon University and a Bachelor's in Business Administration from CESA Business School. Interested in my work? I'm open to discuss ideas and professional opportunities. 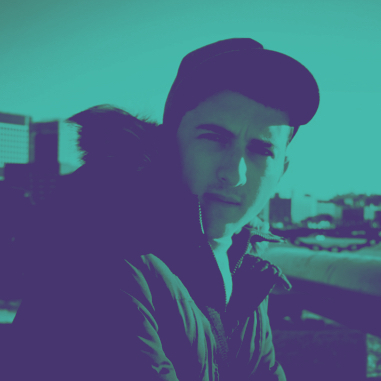 Drop me a message via Messenger or send me a direct email. • If you’re building a conversational bot…Don’t. Medium. • The Future of Self-Driving Cars UX: Augmented Reality, Office Cars and More…. Medium. 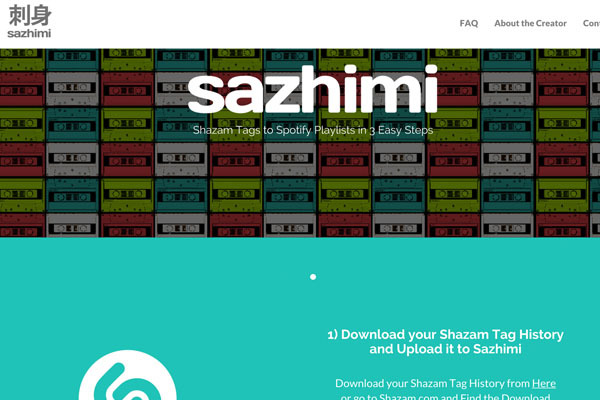 Sazhimi is a web app that helps users to bulk import Shazam Tags into Spotify Playlists. This feature is just partially implemented in Shazam (single exports, playback only within the app). 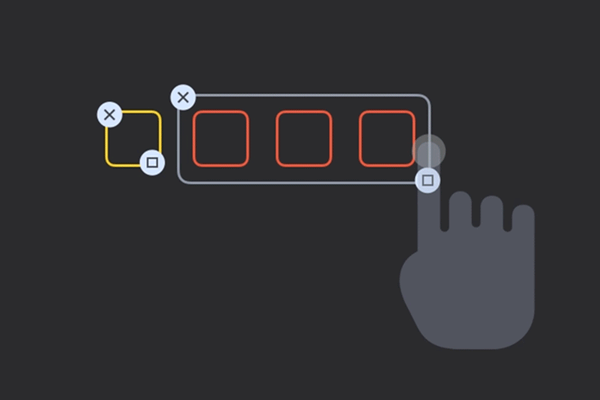 Sazhimi is also a UX experiment meant to explore procedural user flows. For this web app I designed a flow method called "restrictive progress " in which users are restricted from going back in the flow to repeat an action. Roles: UX Designer, Full-Stack Developer. Technologies: Python / Flask Framework, HTML, CSS, jQuery. InfinitE Educational Dome was a Carnegie Mellon University project in joint with Chevron and Elizabeth Forward School District. The goal of the project was creating the first installation of an Energy Lab that would teach kids about Energy. 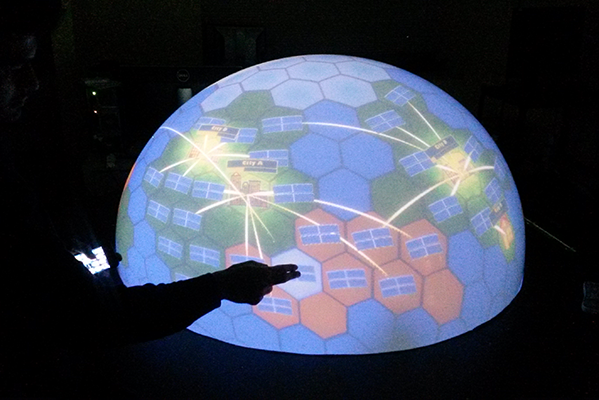 We created an 48 inch touch interactive dome and a game that teaches kids about solar energy. We also created an iOS companion app. Technologies: Keynote, Photoshop, HTML/CSS/JS, Unity. 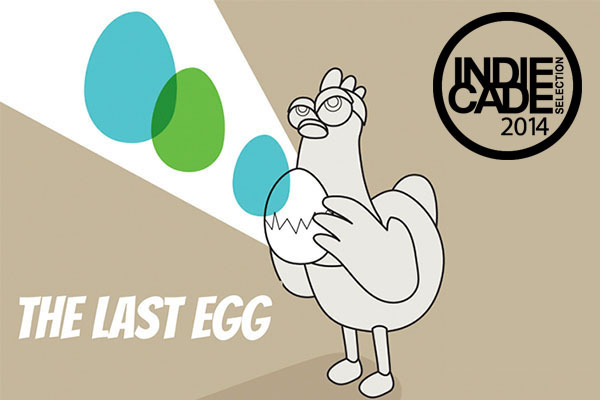 The Last Egg is a digital playground game that uses the PlayStation Move Controllers. The game consists of 3 rounds of 1 minute in which two teams need to fight for the egg (a randomly assigned PS Move). The game was chosen as a finalist of the IndieCade Game Festival 2014. I designed several game mechanics and provided all the sound effects for the game. Roles: Game Designer, Sound Designer. Technologies: Adobe Audition, Adobe Premiere, Unity. Tetronic is a game created on top of a physical interactive platform known as the Jam-O-Drum. In Tetronic 4 players have to simultaneously play a circular tetris game and collaborate while the circumstances of the game change unexpectedly. I designed several game mechanics and provided all the sound effects for the game. Technologies: Adobe Audition, Unity, Paper Prototyping. 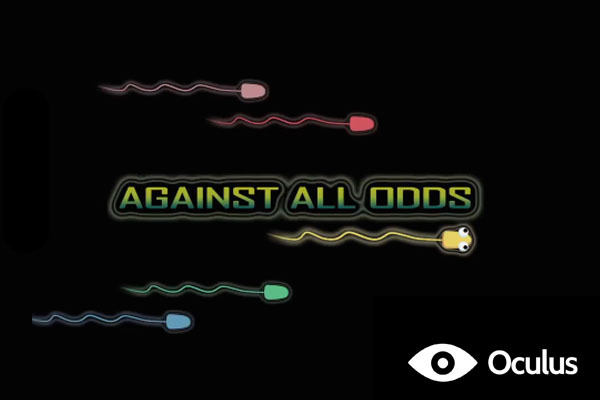 Against all Odds is a VR Game that uses Playstation Move Controllers as input. The idea of the game is to guide an little spermatozoid through the journey of fecundation. I designed several game mechanics and provided all the sound effects for the game. 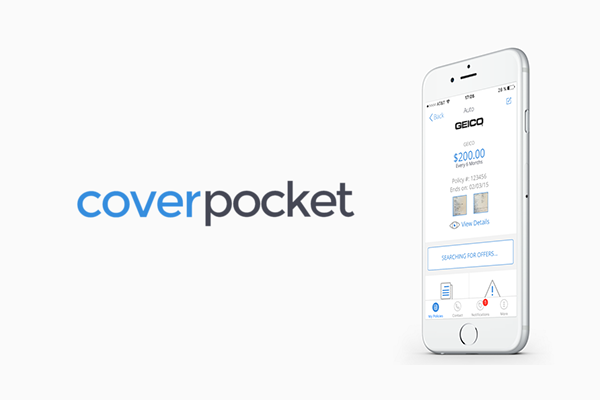 Coverpocket -a sub-product of Coverwallet (+$40MM USD in Total Equity Funding)- provides a seamless experience to organize and renew insurance policies. Coverwallet asked me to provide UX Advice for this product. 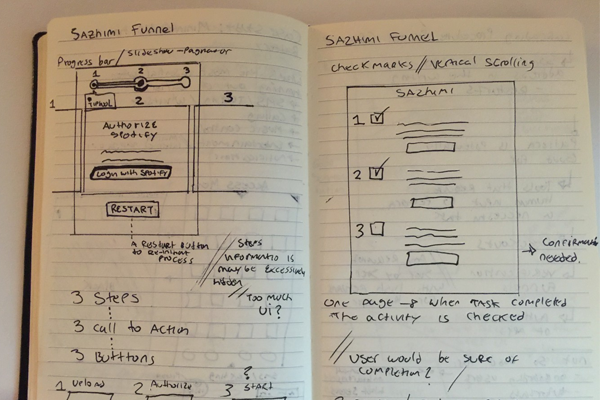 I prepared a UX audit with recommendations to improve user-flows and learnability. 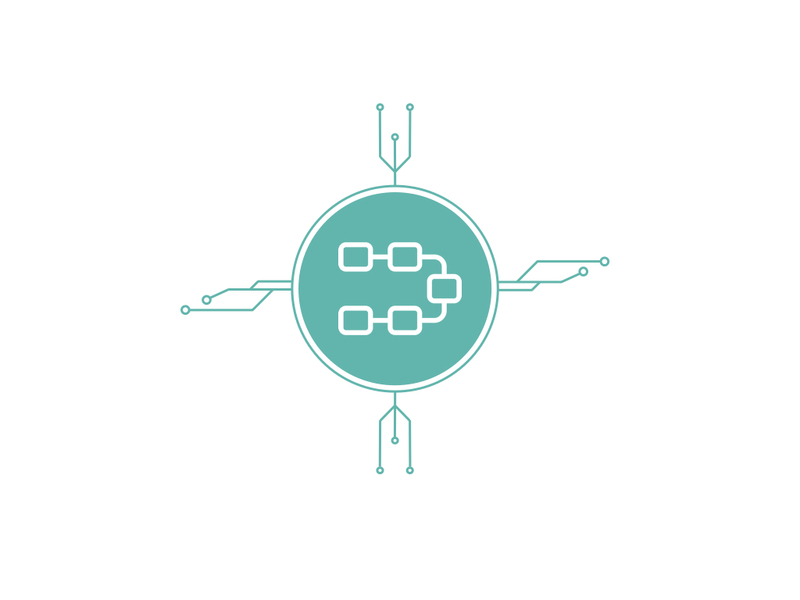 I also designed their referral system and provided all the technical implementation specs. Roles: Product and UX Consultant. 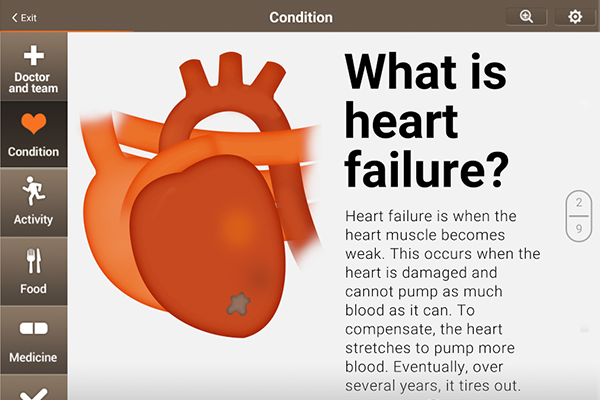 Saving-Hearts was a CMU project in Joint with AHN to create a mobile app that supports patient education and behavior change in adult patients suffering from heart failure. I designed all the initial concept of the app and all its main interaction, user flows, product logic and content layout. I user tested the product with real patients and gather data to create relevant iterations. Technologies: Keynote, Photoshop, HTML/CSS/JS (for Prototyping). 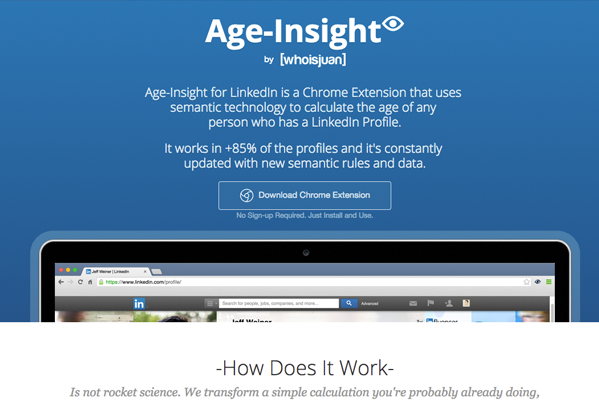 Age-Insight for LinkedIn is a Chrome Extension I developed as a side project in the Fall of 2015. The extension went viral and it got thousands of downloads. A very interesting debate around how appropiate was this extension when it comes to recruiting and the possibility of the extension being a facilitator for discrimination. As a result of the discussion and the feedback I shut down the extension. Roles: UX Designer / Front-End Developer. Amazon Web Services is the largest cloud provider in the world. At AWS I have been in charge of leading the design of several initiatives in the Developer Tools area, including the major redesign of two of AWS core DevTools consoles (CodeCommit and CodePipeline), and an ongoing effort to unify all the DevTools consoles to increase AWS customers productivity when it comes from moving their code from their local environments to their production environments in AWS Cloud. Roles: Sr. UX Designer / Occasional support in Frontend Dev Tasks. 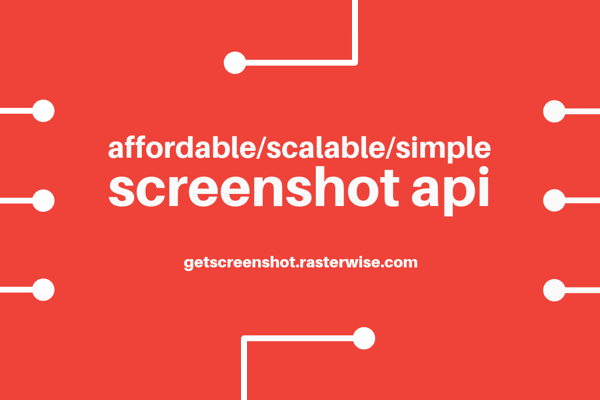 GetScreenshot by Rasterwise is the first service of a series of API utilities I wrote and exposed as a service. GetScreenshot allows developers to take screeenshots of websites programatically by controlling multiple rendering varibles. In this project I have explored the role of User Experience Design in creating and producing APIs that are easy to understand and consume. This service has been mainly a personal excercise to understand the role of UX in the developer space. Roles: UX Designer / Full Stack Developer. 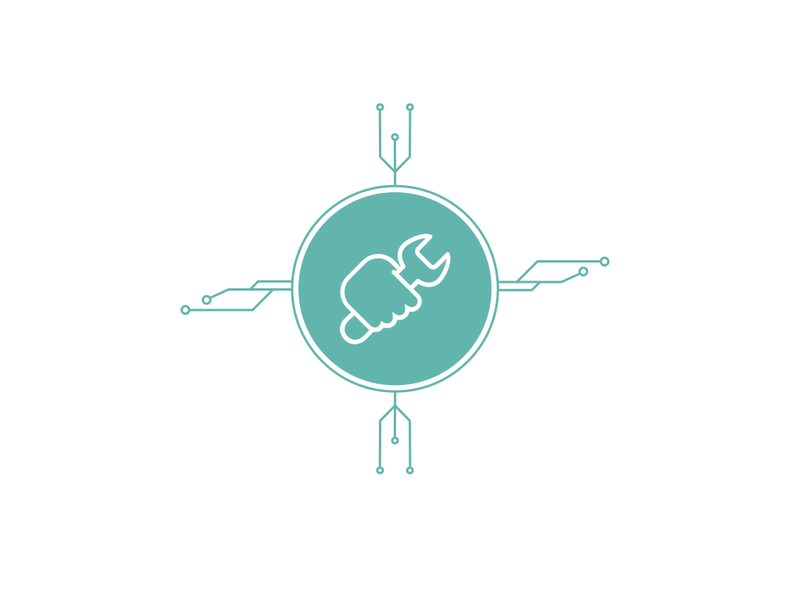 Technologies: Node.JS, Python, Puppeteer, AWS EC2, AWS Lambda, AWS API Gateway, Amazon S3. Waveguide is a project I started coding in late 2017. It was born out of frustration. I realized that at all my jobs as a designer I always faced a challenge when trying to find user experience patterns and examples on how to tackle specific design problems. Designers are constantly borrowing ideas from existing products and creating new innovations through incremental iterations that leverage on existing patterns. However finding patterns and examples is a hard task. Waveguide's goal is to index design examples of major brands and companies. 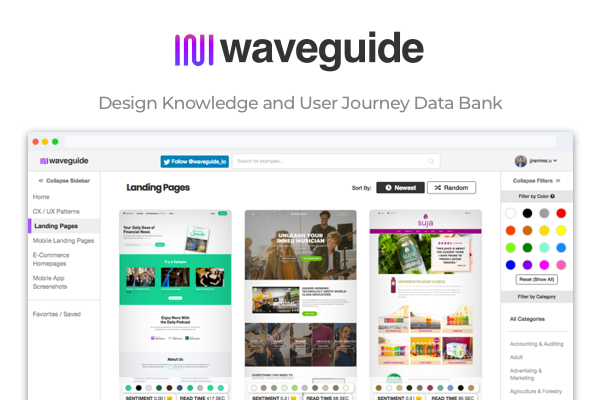 Waveguide captures examples in every user journey moment and artificially augments each example with data like color and document layout information. Technologies: Craft CMS, PHP, Twig, AWS Lambda, AWS API Gateway, Node.JS, Python, HTML, CSS, Vanilla JS, Vue.JS, Sketch. 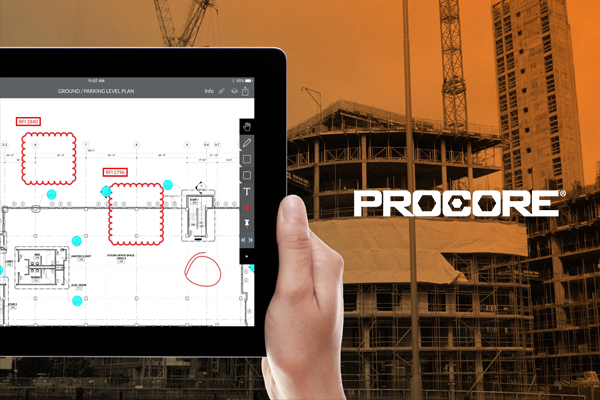 Procore (+3 Billion USD Valuation) is the number one cloud-based construction management software application that helps firms increase their project efficiency and accountability by providing streamlined project communication and documentation. I worked at Procore as a Sr. Mobile UX Designer, leading design for all the mobile platforms (iOS, Android and Windows UWP). 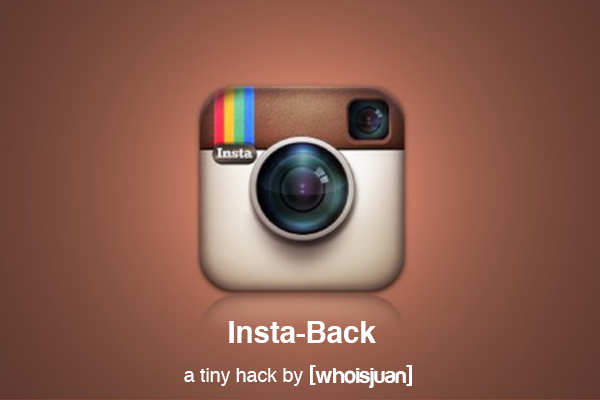 Insta-Back is a small side project I created as a response to Instagram's Logo update. I designed a method that leverages phone native functions to recover the old logo. To achieve this I used the built-in iOS Safari Bookmarks and a deeplinking redirection that works based on the user agent detection. This project got viral and was featured in hundreds of publications worldwide. 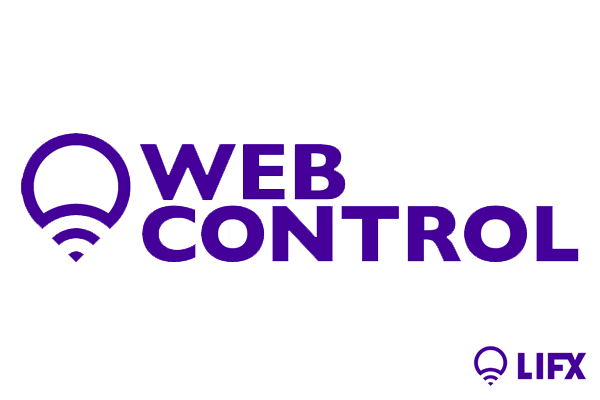 LIFX Web Control is a Minimalist Chrome Extension to control connected LIFX lights. I wrote LIFX Web Control as a side project. As of today the extension has more than a thousand active users.